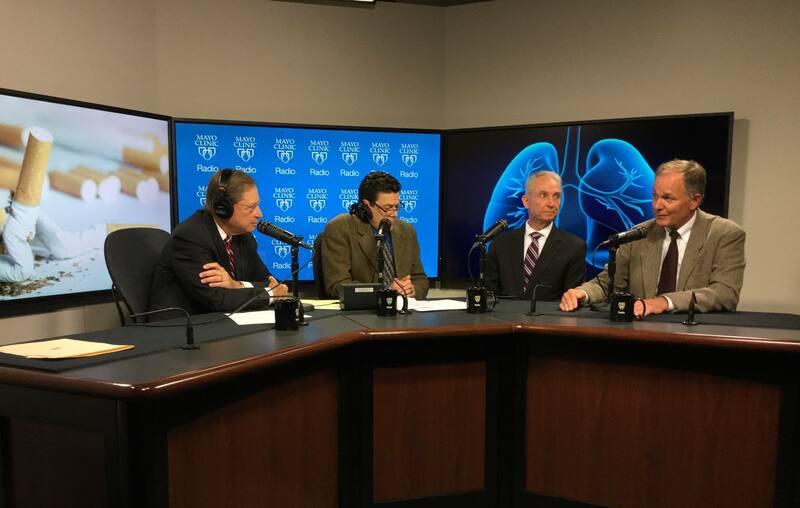 On the Mayo Clinic Radio podcast, Dr. David Midthun, a pulmonary and critical care physician at Mayo Clinic, and Dr. J. Taylor Hays, an internal medicine specialist at Mayo Clinic, explain how a new study combines lung cancer screening with proactive referrals and increased communication to help people quit smoking. Also on the podcast, Dr. William Gahl, clinical director of the National Institutes of Health's Genetic and Rare Diseases Program, discusses rare and undiagnosed diseases. And Dr. Timothy Curry, director of the education program at the Mayo Clinic Center for Individualized Medicine, and Dr. Halena Gazelka, assistant professor of anesthesiology and perioperative medicine at Mayo Clinic, share the latest research on pharmacogenomics and pain medication.